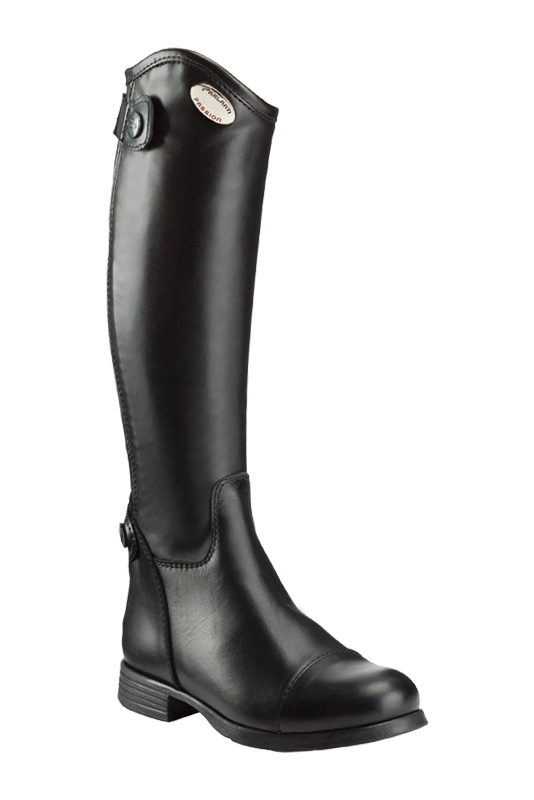 A boot dedicated to the youngest Riders, hand-crafted in soft genuine full-grain calfskin leather and lined in canvas cotton fabric. They come equipped with a rear elastic band to always ensure maximum comfort and softness. The reinforced zippers, the round toe and the 100% rubber sole complete this elegant Italian craft product. Nine EU foot sizes, three height options and three calf sizes will provide the best fit you could hope for. Available in black or dark brown color. 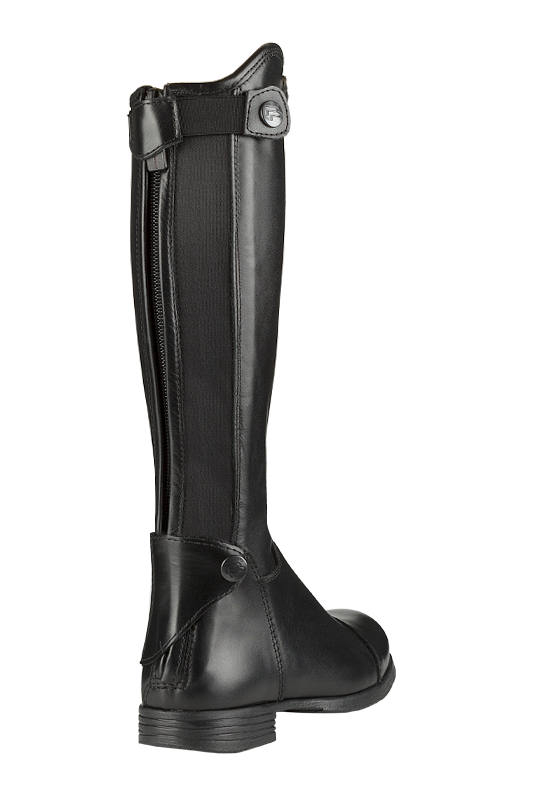 A perfectly shaped leg, designed to be resistant but always comfortable. 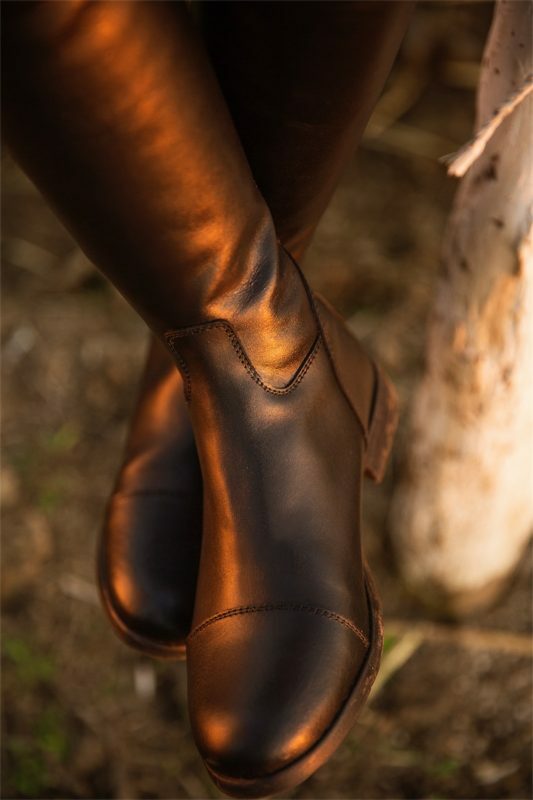 The soft leather combined with the elastic band allows the boot to dress the leg in a superlative way. The perfect support for the legs of the youngest Riders.